November 23, 1963: A day that changed the world forever. That day saw the broadcast debut of Doctor Who, which was to become the longest-running science-fiction series on television. 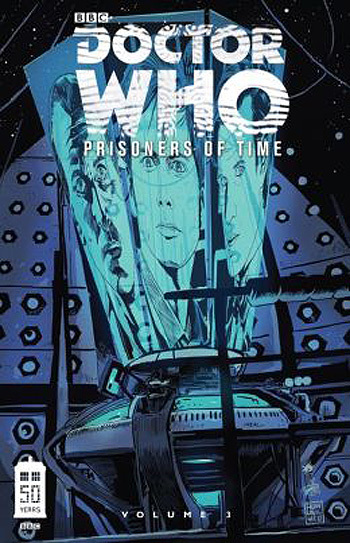 Doctor Who's 50th anniversary celebration continues in Prisoners of Time, Vol. 3. Writers Scott & David Tipton and artists David Messina, Elena Casagrande, Matthew Dow Smith, and Kelly Yates bring you four more tales involving the ninth through eleventh Doctors leading up to the final issue featuring all 11 Doctors.